Instagram Stories are where the party’s at these days, and personally, I’m loving it. I’m naturally nosey, so I love getting extra peeks at someone’s day. I think the thing I love most about Instagram stories is that it can be a quick casual snap or something beautifully curated. I love the mix of content and tend to find myself tapping my way through stories more often than I view my feed now. The content is so easy to digest, and it just works for me! 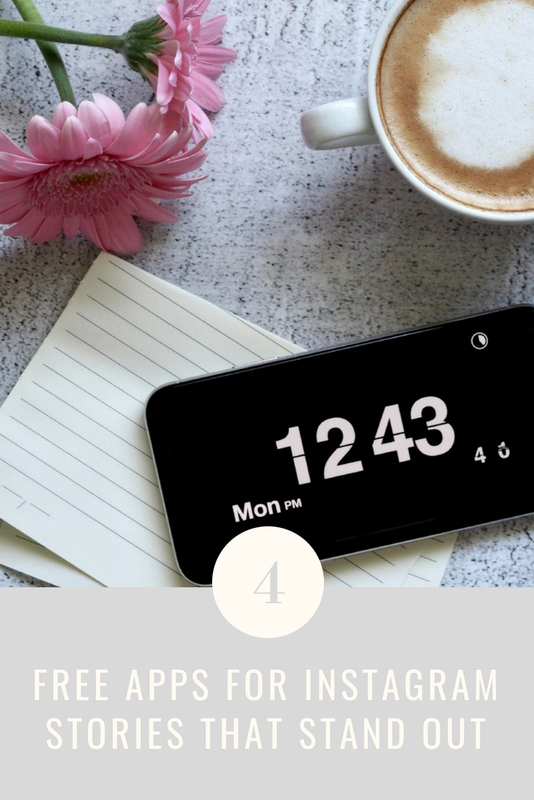 With that in mind, I thought I’d put together a list of four great apps to use if you want to bring your Instagram Stories to life and take a step beyond the usual snaps. If you follow any bloggers on Instagram, the chances are you’ll be familiar with Unfold. This app has some great templates that you can use to set up your shots. It’s great for adding little bits of text, combining multiple photos or overlaying photos and videos in the one story. Whilst the app itself is free, there are some packs available to buy for extra templates, but I do think the free templates are really decent. I haven’t felt the need to buy any more yet! I use Canva’s web-based service a lot, but they also have a free mobile app that’s brilliant for creating quick graphics on the go. Like Unfold, they have a lot of templates available for Instagram Stories (and graphics for other social media platforms too!) with plenty of options for different fonts and other additions. It’s really simple to use and I’d highly recommend it. This is pretty similar to Canva in that they also offer a selection of templates for a variety of uses, not just Instagram Stories, but they have some different options in comparison. I think their collage templates are a bit more varied than what Canva offers and they break them down into categories too, which is really handy for me. It’s a bit more flexible than Canva overall, but some of the features do require an Adobe Cloud membership. Following the same lines, Font Candy has great presets for building interesting Instagram stories, as well as adding text and artwork. It’s got a great selection of fonts, but also allows for users to upload their own fonts and artwork too. This is particularly useful if you’ve got a consistent brand that you want to use regularly in your stories!